You must make reservations at least 5 minutes in advance of the time at Gallery Grill. From tarte flambè with Arctic char to crème brulée sweetened with our famous maple syrup, Chef Suzanne Baby’s inspired menu has won her a devoted following among Toronto diners. 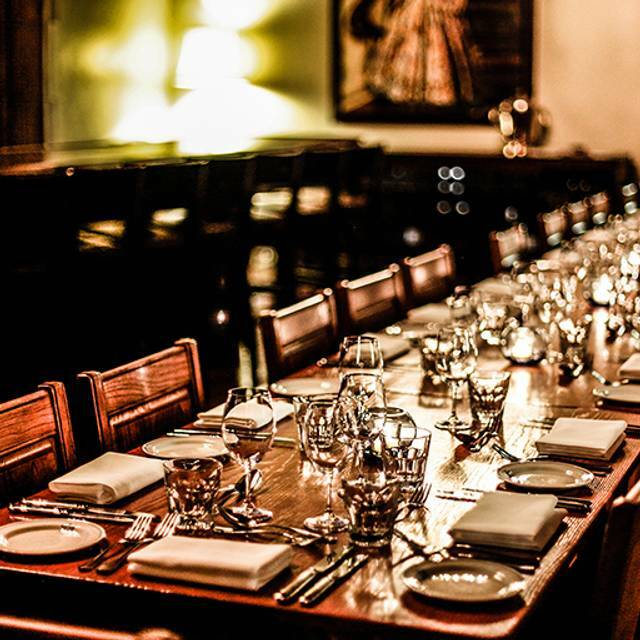 Renowned for sophisticated weekday lunch and Sunday brunch, Gallery Grill also serves as a stunning setting for private events and receptions. 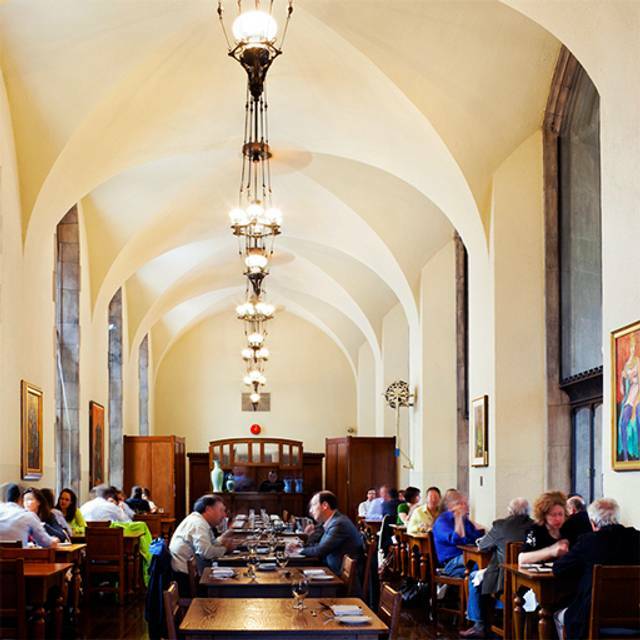 Unwind over signature cocktails by the fireplace, meet for a quick coffee in the cafe, or celebrate a special occasion in one of the University of Toronto's most beloved spaces. All good except I found it accoustics difficult-don't know what can be done about that! Excellent food, nice atmosphere. Would go there again and recommend. I really enjoyed my experience at the grill. My companion initially had difficulty selecting a choice from the menu but in the end enjoyed the cassoulet. The menu is a little limited but both our selections were very tasty. The food at our Sunday lunch was better than ever. Every course was over-the-top excellent. The chicken liver mousse was superb. The yogurt on the fish, so yummy and unusual, was a marvel. The Japanese “cheesecake” was terrific, as were the sorbets. I can hardly wait to come back. Loved everything about our brunch inncluding the food, the juice, the food, the ice cream, the service and the beautiful room. I will be back. Excellent food. Good choice on menu. Only thing the waiter made some rude comment. Said we could by a bottle from LCBO for the price we paid for a glass of wine. Unimaginative lunch menu. Poor value. Disappointing allbin all. Delicious food in beautiful surroundings. 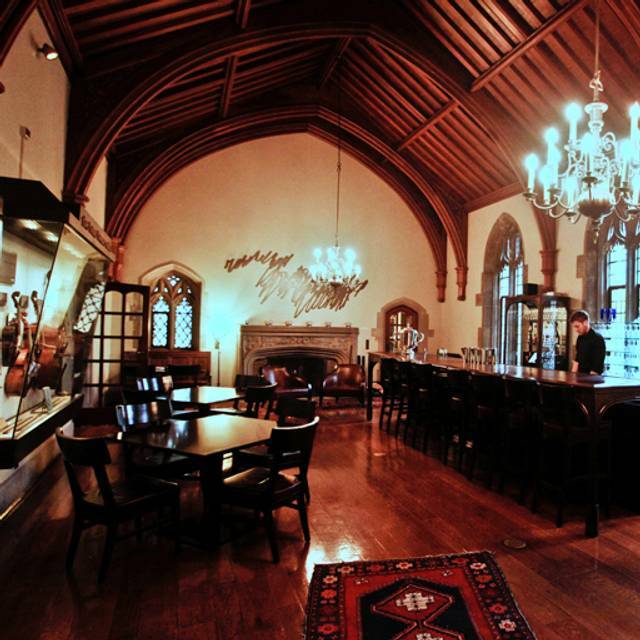 This restaurant overlooks the Hogwarts-esque main hall of Hart House, and itself provides a sense of Medieval elegance. The food is a bit pricey, but excellent. I heartily recommend the gnocchi--tender and delicious. I sopped up every bit of the sauce with a bit of bread! The sorbet was also excellent for dessert. We usually have a very enjoyable visit but there was an event in the adjacent Great Hall that was very noisy, and did negatively affect our meal. It is always a pleasure to back to the Gallery Grill. The whole experience is wonderful. I found our luncheon to be very good. However, I do find all the hard surfaces do make the noise a little excessive. That is one of the reasons I like to have lunch there around 11:30 when it opens before theire's much crowd. Always a favourite spot especially for special occasions with family or friends. 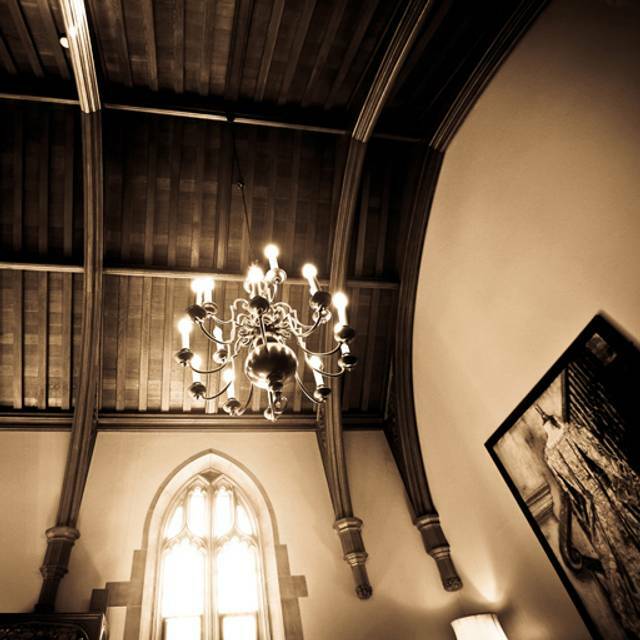 In the heart of the University of Toronto’s grounds in Hart House, the gothic style of the university spills into the restaurant which (as the name suggests ) is in a gothic arched gallery overlooking the Great Hall. 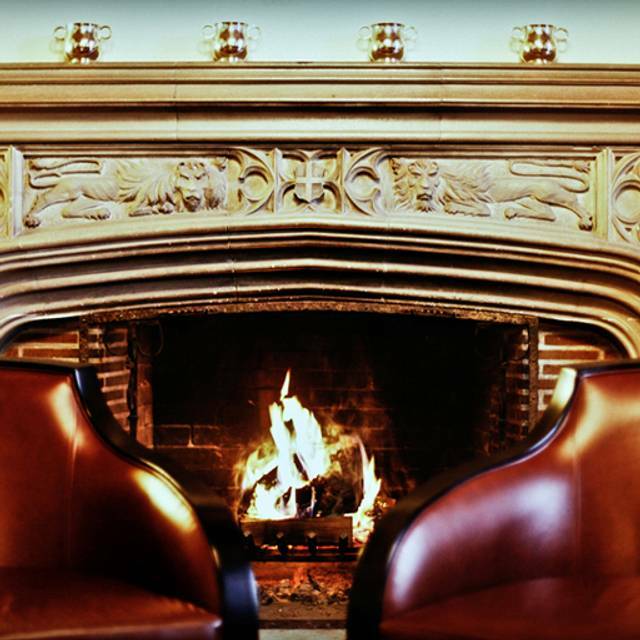 As soon as you enter the restaurant into the cosy well stocked bar with a fireplace your expectations rise. 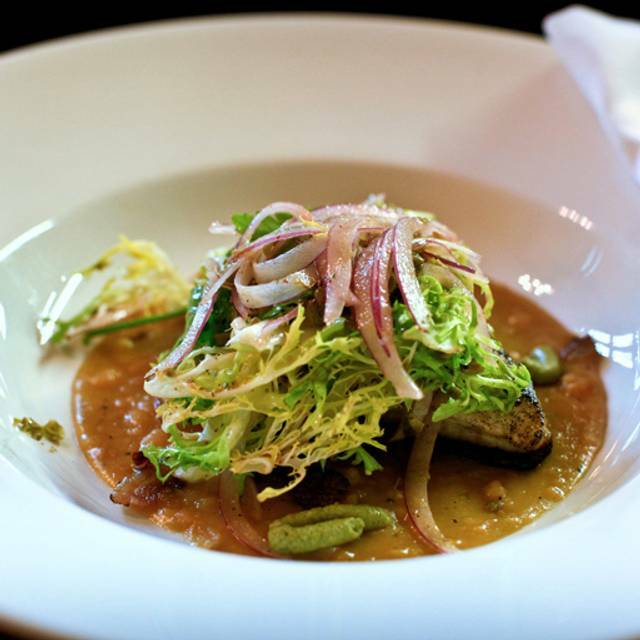 Imaginative, beautifully served food and stellar attentive service await. My expectation was a bit high, I think, for winterlicious lunch 2019. The bread which they serve with olive oil was baked in house and delicious. The Chicken Liver Mousse - the top later was dark, which tells me that it was prepared way in advance. The layer beneath was pink. The triangle toasts, which they call is grilled brioche, were very tiny (2 inch triangle). 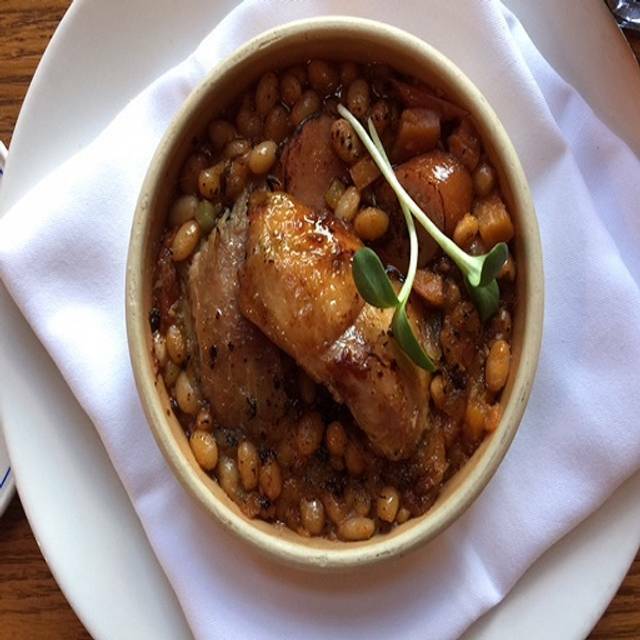 Gallery Grill Cassoulet (local) - duck confit was very dry, duck sausage, braised bacon - 3 inch sq cube. In the description of the menu, they missed mentioning along with baked beans (lots). My main dish was burnt and salty. Full of protein with no veggies. Avocado and Smoked Arctic Char Toast - with poached egg, salmon caviar, yuzu hollandaise. This is a toast with layer of the above mentioned. I have had tastier than this one. Fresh Pineapple Coconut Sorbet - charred pineapple (vegan) - tasty. Been going to Gallery Grill for a few years now. Always excellent food and service. A nice hidden gem of UofT Hart House. Exceptional, friendly and attentive service. Creative, fresh and delicious starters, entrees, and desserts using locally-sourced ingredients and beautifully presented. 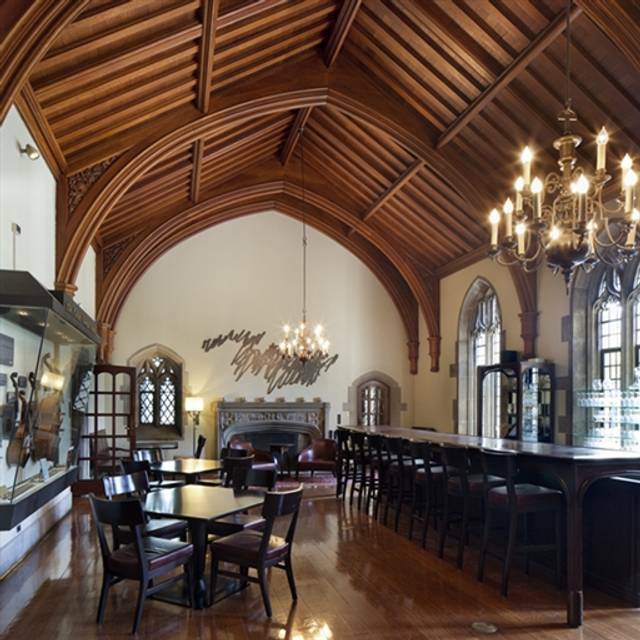 The inspired menu and elegant room — with vaulted ceiling and stained-glass windows in historic Hart House and overlooking the beautiful Great Hall — make for a unique dining experience. Adjacent bar/lounge can't be beat for cozy charm. Lunch only. Worth every penny. When I saw the Winterlicious menu, I was excited and book the lunch with a friend right away. However, I was very disappointed with the quality and size of the second dish - the Arctic Char. The whole dish fitted the size of a burned square slice of bread. It was basically a piece of charcoal which was impossible to cut. I wish I took a picture of it. Besides, I barely could find any piece of Arctic Char among the green leaves. I wouldn't recommend this dish to anyone. The place's atmosphere and staff was good, but not the food this time. Always a wonderful experience at the Gallery Grill - amazing service, food and ambience. The fact that it was Winterlicious was bonus! Located in a historic university building, Gallery Grill is perfect for lunch-time meetings. The food is simple, tasty and creative. Tempting desserts. A nice wine list, with Canadian gems. Service is friendly. Gallery Grill has been our favorite restaurant in Toronto. It is probably the best kept secret in town. Excellent service with quality food. Fantastic Experience. The Gallery Grill continues to excel. I have gone there mostly for small celebratory lunches. The menu is new daily, with an acceptable range of options. The ambiance is Gothic with charm. The food is amazing and the staff are fantastic. There is a very acceptable wine list and a wide variety of other options. Great spot, quiet and homey. Love this place food is always delicious and so very festive at Christmas ! Excellent fresh inventive flavourful food. Fun sitting there looking at the old university gothicky architecture. Even with the din when it’s busy, it’s delightful. We were very impressed with the soup, the special salad, the sauce on the fish, the gnocchi and a kind of custard dessert. Delicious! Service was efficient and good natured, worth a bigger than usual tip. The place is clean, easily accesible and surrounded by history. The food is excellent and rather healthy. Ambiance is good but the noise level was a bit too high for my tastes. Cheers. PS: Would it be possible to offer some kind of discounts to U of T alumni in the future? Very enjoyable for Sunday brunch. This place is a gem in the middle of our city! The food and service are excellent and the ambiance is very special. AMAZING VENUE WITH OLD SCHOOL (LITERALLY!) CHARM. As for the "noise" a concert pianist was rehearsing in the adjoing hall... it was loud but not at all unpleasant. Always enjoy the Gallery Grill for the delicious, beautifully presented food and friendly service. The food is simply fantastic, and the setting in Hart House is gorgeous. I ate there twice during a long visit to the University of Toronto, and both times was very impressed by the food, service, and ambiance. Once again the Gallery Grill exceeded our expectations with a wonderful, autumnal brunch menu. Service was impeccable, food was creative and delicious and the setting was beautiful as always. The spinach gnocci is amazing! Excellent friendly and efficient service in a historic setting. This was the perfect location for a family reunion in a spectacular and cosy setting altogether. Good food, friendly service, very welcoming for little children, a hidden gem. And a concert rehearsal in the great hall, what a treat. Original and delicious dishes, always. Terrific food, this time including a wonderfully-flavorfull sea bream dish and a delightfully subtle cauliflour soup. The service, as always, was attentive and cheery. All this made for a perfect catch-up lunch with an old friend. Nice customer service, my friend and I enjoy our gathering during our lunch hour. It's only a little bit hard to find out this place if you haven't been there before. 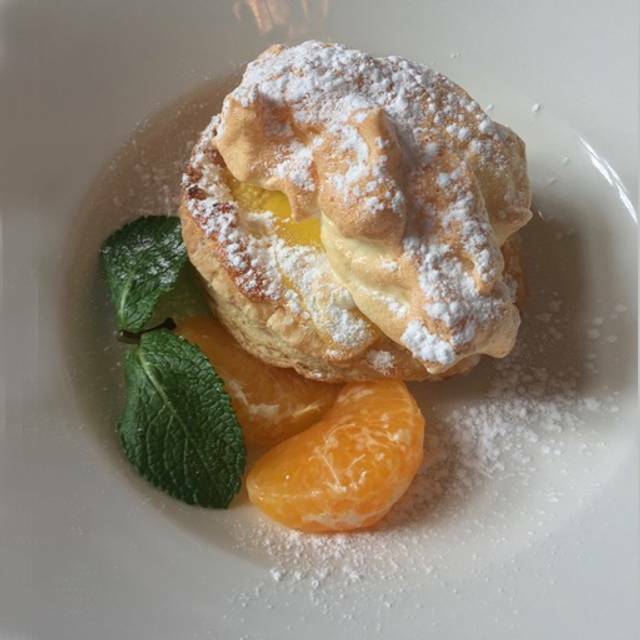 Excellent food, neat location, exquisite service and lots of gluten-free options. Definitely a go-to lunch place in the university neighbourhood.